A Kentucky man is on a mission to bring beer to the breakfast table. LOUISVILLE, Ky. (WLS) -- A Kentucky man is on a mission to bring beer to the breakfast table. Russ Meredith once worked for beer companies. He was surprised to learn that there was no commercial producer of beer syrups. So he opened up The Beer Syrup Company in Louisville. Meredith's original plan was to make the product as a new type of drink for a night out. But he quickly realized the brew made better sense as a breakfast topping. Pecan Nut Brown, Mocha Porter and Bourbon Barrel Stout are in production at Pop's Pepper Patch near the University of Louisville. 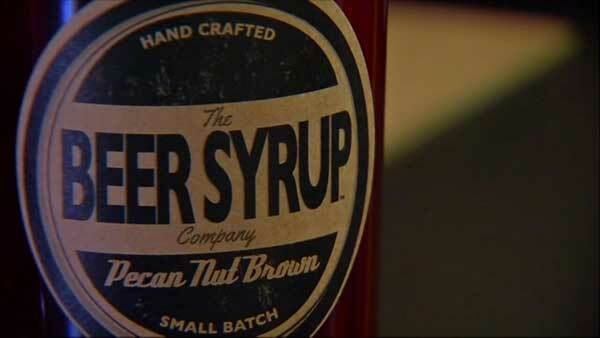 All three flavors have already sold out, according to The Beer Syrup Company's website. But Meredith is looking to increase production and add new flavors soon. Check out his Kickstarter campaign for more information.